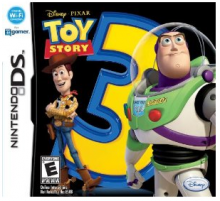 Today over at Amazon you can get a great deal on the Nintendo DS Toy Story 3 video game. It’s regularly priced at $19.99 but today you can get it for only $9.99. Head over to Amazon.com and check out this deal and more on video games! You can still get this shipped to you for FREE with Amazon Prime and it will be here in time for Christmas!